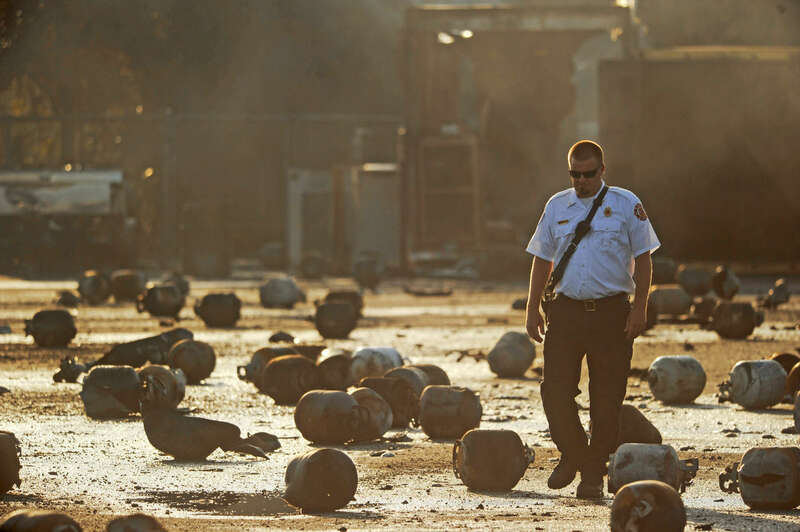 Tavares Fire Battalion Chief Jeff Hosterman walks through the remains of exploded propane cylinders litter the storage yard of a propane plant following massive explosions overnight in the plant's yard on Tuesday, July 30, 2013 in Tavares Fla. Eight people were transported to local hospitals according to Lt. John Herrell of the Lake County Sheriff's Office. No one was killed in the blasts, said Herrell.